-Supports and maintains mission readiness by assisting individuals and families with adaptation to the challenges and demands of expeditionary operations and the military lifestyle. -Serves DoD military, civilian personnel and families to include Guard, Reserve, and other eligible uniformed members, military retirees, eligible family members, and annuitants. 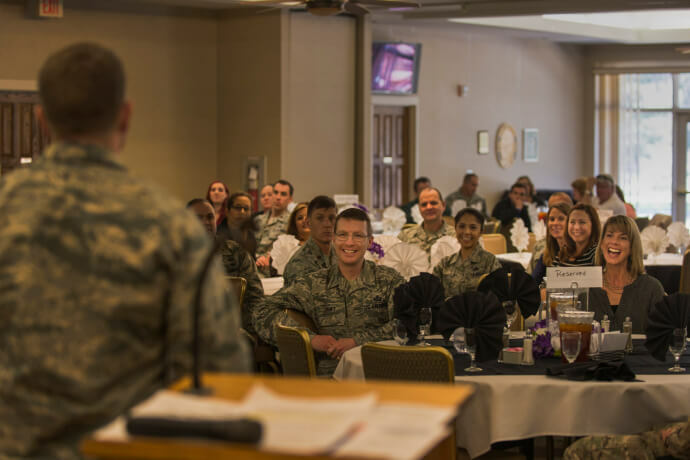 -Collaborates with Air Force Reserve and Air National Guard to ensure all family members are prepared for the many demands and unfamiliar roles and responsibilities often associated with activation, mobilization, and deployment. -Offers proactive, preventive, and remedial services that foster self-sufficiency and sustain the personal and family readiness of the Total Force. Information and education are offered on many aspects of family life and personal growth as well as assessment counseling and referrals. -We support the various mission of the 23d Wing and its tenant organization by providing individuals, families, and leadership with policy, programs and services that strengthen communities and promote self-sufficiency, mission readiness, and adaption to the Air Force way of life. Eligible members who have an emergency need should apply online at: http://www.afas.org. Once application is completed, contact us at 229-257-3333 to schedule an appointment. After duty hours and weekends, for emergencies which cannot wait until the next duty day, contact the American Red Cross at 877-272-7337. Air Force Families Forever program’s primary goal is to provide resources, support, and information to help survivors adapt to life without their loved one. This program provides short-term and long-term case management to assist survivors of military decedents as they return to a new normal in their life. Connect families with local resources and new resources when relocating. Continued contact with survivors up to 12 months at a minimum. The Air Force Wounded Warrior (AFW2) program goals are: prompt reporting, providing support to the seriously wounded, ill, and injured warriors and their families. The AFW2 Program is headquartered at the Air Force Personnel Center (AFPC). Non-medical care managers provide a wide range of flexible proactive personnel advocacy and services to support wounded Airmen to include assistance with Medical Evaluation Board (MEB) or Physical Evaluation Board (PEB) to determine fitness for duty. The A&FRC is a key resource providing a wide range of support to the AFW2 member and their family in transitioning from wounded/ill status to full-duty status and/or civilian status. Assist members with financial, employment, volunteering, and many other needs as determined by their individual situations. Casualty Assistance & Survivor Benefits primary goal is prompt reporting, dignified and humane notification, and efficient, thorough, and compassionate assistance to the next of kin at all times. Exceptional Family Member Program – EFMP-FS Coordinator provides support and services to individuals that have a family member, regardless of age, with any medical, educational, developmental, intellectual, or mental health condition requiring on-going or specialized services. These services include: needs assessments, educational classes, support groups, community resources, disability specific information, and awareness events. There are books, weighted vests, lap pads, timers, and other items available for check-out in the A&FRC. Heart Link is a spouse orientation program. Excellent resource for spouses new to the military. The orientation offers valuable tools to help you successfully adapt to the military lifestyle. Bring a friend for a day of fun! Registration is required; free child care available through Family Child Care homes. Sponsored by AF Aid Society. 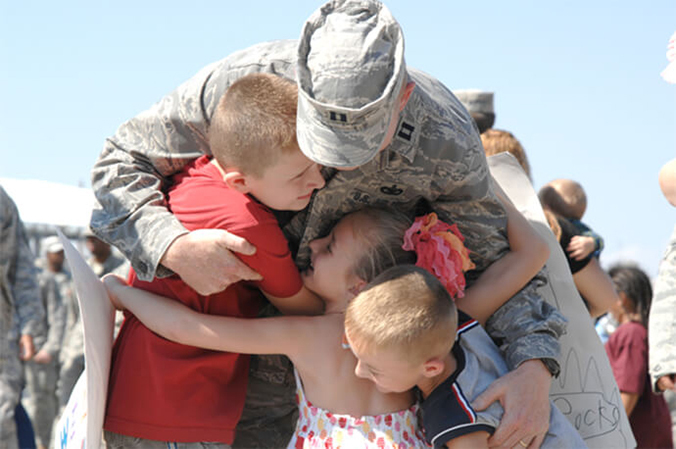 Key Spouse/Mentor (KS) Program is a Commander’s program to enhance unit family readiness. The key spouse is a trained volunteer, appointed by the Unit Commander as a key spouse or mentor, who helps unit leadership address spouse/family issues and concerns. A&FRC provides oversight and assistance to the KS by continued training opportunities and information and referral support. Quarterly training for key spouses and mentors is provided. Military Family Life Counselor (MFLC)Program provides confidential, private, short-term, non-medical counseling. Services can be provided on or off base to individuals, couples, families, and groups in the following areas: Mental Health and Family Advocacy, Anger management, Conflict Resolution,  Communication Parenting, Relationship Issues, Decision Making Skills, Productivity at Work, Military Lifestyle, Deployment Stress, Homesickness, Coping Skills Separation, Relocation Adjustment, Building Resilience, Loss & Grief Reintegration. Personal Financial Readiness offers information, education, and personal counseling to help individuals and families maintain financial readiness and stability and achieve their financial goals. Personal and Work Life enhances the individual’s knowledge, skills, and abilities to anticipate and meet challenges throughout various stages of the military family life cycle. Offers personal enrichment workshops, services, and activities that strengthen individual, family, and unit readiness. Consultation: One-on-one assessment counseling for individuals, couples, and families. Marriage Planning Guide: provides information from the chaplains, housing, finance, accounting and finance. Couples Communication: Learn communication skills and conflict resolution techniques that really work! Couples will be introduced to the “Five Love Languages” and the Prevention and Relationship Enhancement Program (PREP) approach to building a lasting and loving relationship. Registration required. Survivor Benefit Plan (SBP) is a government program which makes it possible for retiring members to ensure that after their death, their eligible survivors receive a portion of their military retired pay in the form of a monthly annuity. Retiring Air Force members are required to have a one-on-one briefing with the SBP Counselor to discuss their options. Transition Assistance provides retiring, separating, and demobilizing members/families information regarding benefits and entitlements essential for a successful transition to the civilian community. Per Air Force policy, transition assistance is also provided to DoD civilian employees and family members impacted by restructuring and reductions. 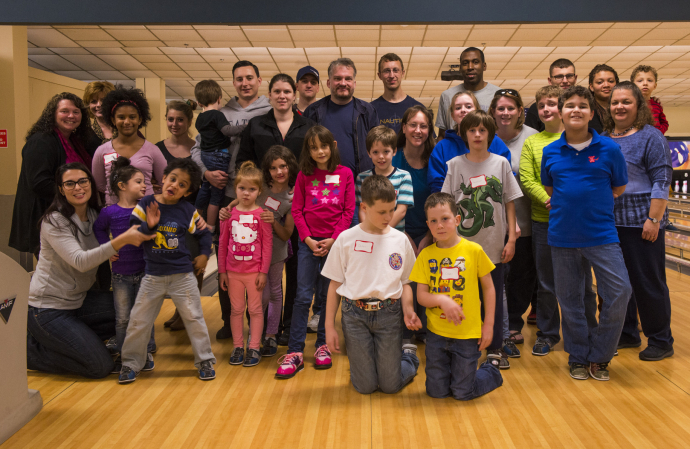 Volunteer Program provides opportunities to give back time, enhance skills or talents and develop professional experience through networking and personal growth. Benefits of volunteering include creating a flexible work schedule, free child care, free training, and awards and recognition. Congress passed a law stating: “— The knowledge and skills you gain from your volunteer time will be accepted on applications for employment with city, state, and federal government.” In addition, most corporations recognize the value of volunteer experience. So, remember to include volunteer time on your resume.